Nov. 1, 2018, 11:31 a.m. In cities across America, you won’t be able to find even the most cursory election results in your Wednesday morning newspaper next week. Is this speeding up newspapers’ transition to digital — or just burning a bridge they still need to cross? By Ken Doctor @kdoctor Nov. 1, 2018, 11:31 a.m. Editors have long had to battle deadlines on election nights across America — pushing press runs to the last possible moment in order to get the most complete results into the next morning’s paper. Print is many things, but it isn’t a great real-time medium. Now, though, Gannett is throwing the digital switch. Across its 109 local markets, readers will be directed — starting this Sunday, as editors are being urged to prepare readers in advance — to head to its digital sites for results. The idea: Recognize and act on the cultural changes — among readers and in newsrooms — to embrace real-time media for real-time news. When long-time readers of the Des Moines Register, Milwaukee Journal Sentinel, or Fort Myers News-Press open up their papers Wednesday morning, they’ll see hardly anything in the way of results. They may see stories on voter turnout totals or “wrap-ups on the voting scene” or “a look ahead to what readers can expect in the days ahead.” Even on Thursday, when nearly all vote totals should be in, don’t expect to see newsprint used when cheaper pixels can do the job; the complete election results will be online, Amalie Nash, executive editor for local news at Gannett’s USA Today Network, told me Wednesday. It’s a move both to push readers online and to reduce costs. The cost savings come in and around print production. While Gannett hopes to convince readers to make a habit out of using their websites, next week’s move isn’t targeted at immediate digital subscription conversion. Gannett will drop its paywalls for 48 hours (or more if need be) to allow everyone access to election results. Further, print subscribers already have digital access included with their print subs. Consequently, there’s no upselling here, but there’s the potential for downselling: Why pay more for print when it offers increasingly less than a digital sub? 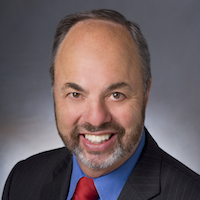 “All sites should adhere to their current print publishing deadlines,” read the Gannett memo that went out this week — which caused some off-the-record consternation among Gannett’s editor ranks. “The last story should be submitted within 45 minutes after polls close or no more than 45 minutes before your press start — whichever comes first.” Some editors have asked for exceptions to the new rule — which, coming only on Monday, upended some of their prior election coverage plans. Most had intended, as usual, to push deadlines back by hours, especially given the heat of this midterm election. And those press starting times are way earlier than they used to be. With more copy editing and page layout handled by chains’ centralized hubs, and with more newspapers relying on shared or outsourced printing facilities, the days of getting evening stories into the print paper are already gone in many markets. Those trends have been in motion for at least several years now, in both North America and across Europe. The headlining has been on the wall for a while. But in this Gannett decision, we can see another step to prepare for a life past print. Forget the romance of a “DEWEY DEFEATS TRUMAN” headline — one that would have never run if we’d had the Internet in 1948. Newspaper companies — as large as Gannett and as small as the relatively few surviving independent dailies — have now started their timers on the life of print. Over the past few months, at conferences and in numerous interviews, I’ve heard the refrain more frequently: “We give print [fill in the blank] more years.” More and more companies have made their own private projections — not to be shared with financial analysts or investors — on when one, or six, or seven days of print publication will go away. The big question — which I’ll be exploring in the next several months — is what does the business look like when it’s mainly or entirely digital. And of course there’s the question that’s ever pressing on our tattered democracy: How large a newsroom — staffed with people of which talents, experiences, and community knowledge — will still be supportable when that day comes? Across Gannett, some publishers, editors, and circulation directors wonder what the reaction will be among long-time print subscribers accustomed to seeing actual election results in print. Will they be barraged with phone calls? Cancellations? Or are readers so used to a declining print product that they won’t bother to navigate through the phone tree at whatever call center handles newspapers’ customer service these days? That will depend in part on how good a job the company does with those digital election results — and with the accompanying rolling analysis that readers want. In past years, local newspapers’ real-time reporting of elections has often been slow and kludgy — a stark contrast to the ever-advancing visualizations and real-time presentation at the premium national dailies. If Gannett wants to be known as a great digital source for elections, it had better have its digital act together Tuesday night. At the same time, it is those incredibly loyal print readers — the ones who have stood by newspaper companies through cut after cut in staff and in the product — who will now see that loyalty tested, again. Gannett, like a number of other newspaper companies, has more than a third of its print subscribers ages 70 or above in many markets. Most read in print; digital is a second and lesser option. (E-edition readers, who essentially get the print paper in digital form, will also be impacted by this decision.) Those subscribers, at Gannett and elsewhere, have seen their subscription rates hiked again and again, raised to the very limits of econometric modeling. But even those committed subscribers are increasingly willing to step away from a print habit. In Des Moines, the Register now sells 87,000 Sunday and 48,000 daily print copies. Two short years ago, those numbers stood at 122,000 and 66,000. That’s a drop of more than 27 percent in 24 months. Digital subscriptions have increased over that same period — but only from 4,100 to 6,000. Or look at a smaller market: The Reno Gazette-Journal now sells 22,000 Sunday and 16,000 daily print copies. Two years ago, those numbers were 31,000 and 24,000. Those are declines of 24 percent and 33 percent. Digital subscriptions have climbed from 1,500 to 2,500 over the same period. What those numbers tell us is that that road to a mostly/fully digital future gets narrower month by month. Digital subscriptions — which sell at much lower prices than print ones, though with lower marginal costs — are gaining ground much too slowly. Given the combination of higher prices, a lesser product, and even increasingly erratic home delivery, print subscribers may provide less of a lifeline to the digital future than Gannett and other publishers now assume in their whiteboard calculations. In a small way, Gannett’s election-results strategy is another test of that proposition. By providing less to its longest-standing print customers — in the medium many of them prefer — is it advancing its digital transition? Or is it simply advancing the day of its reckoning? 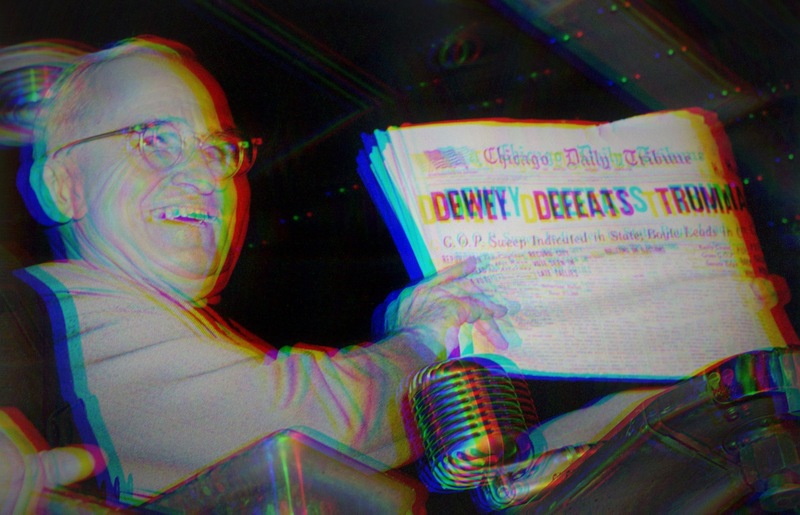 Photo illustration based on 1948 photo of Harry Truman noting the Chicago Daily Tribune’s inaccurate headline by AP/Byron Rollins. POSTED Nov. 1, 2018, 11:31 a.m. Doctor, Ken. "Newsonomics: “Digital defeats print” is the headline as Gannett steps away from printed election results." Nieman Journalism Lab. Nieman Foundation for Journalism at Harvard, 1 Nov. 2018. Web. 20 Apr. 2019. Doctor, Ken. "Newsonomics: “Digital defeats print” is the headline as Gannett steps away from printed election results." Nieman Journalism Lab. Last modified November 1, 2018. Accessed April 20, 2019. https://www.niemanlab.org/2018/11/newsonomics-digital-defeats-print-is-the-headline-as-gannett-steps-away-from-printed-election-results/.